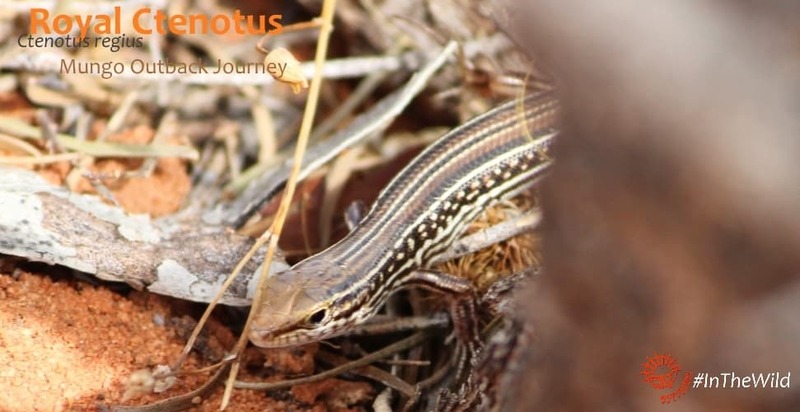 Australian reptiles are a highlight of our Mungo Outback Journey tour. 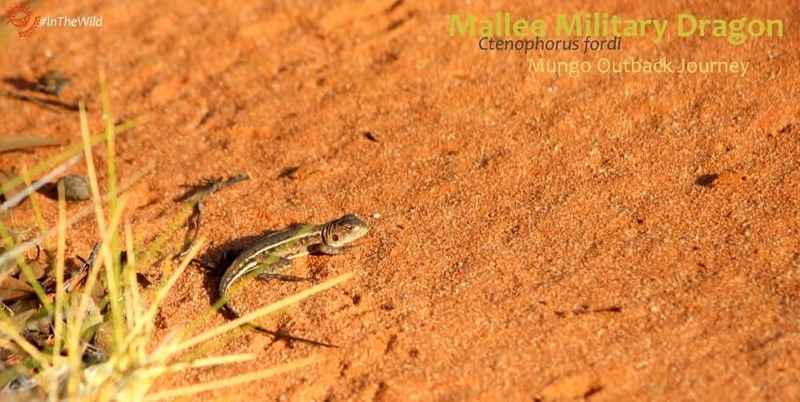 Lizards are plentiful in the sandy, sunny mallee woodlands and saltbush plains of Mungo. The Lace Monitor lives in areas with trees. They forage on the ground and in trees, climbing expertly using their sharp claws. This one was spotted in Hattah-Kulkyne National Park. 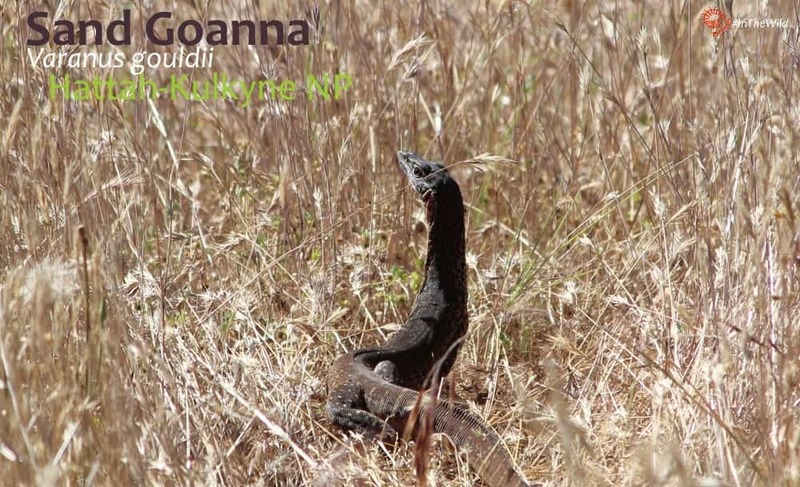 Sand Goannas are energetic predators seen throughout Outback Australia. 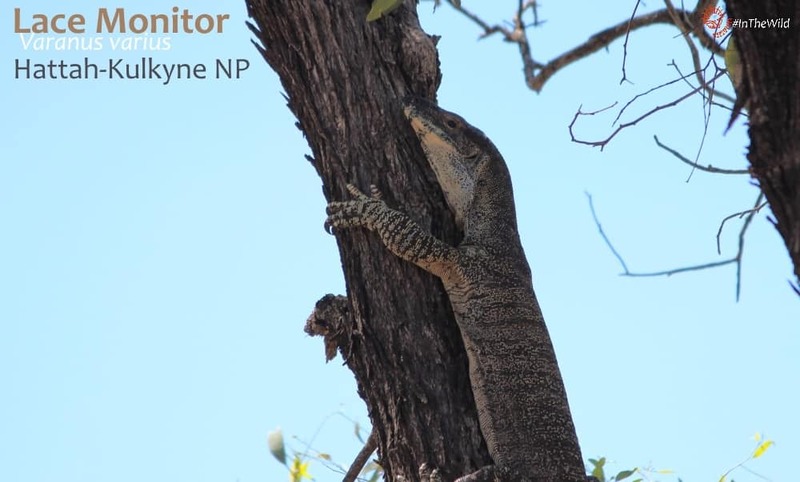 They have a slimmer head than a Lace Monitor, and more yellow colouring on their sides and belly. Dragons (Agamids) have an upright posture, long legs and small, rough scales. They often have a pronounced neck and triangular head. They are fast and active predators. 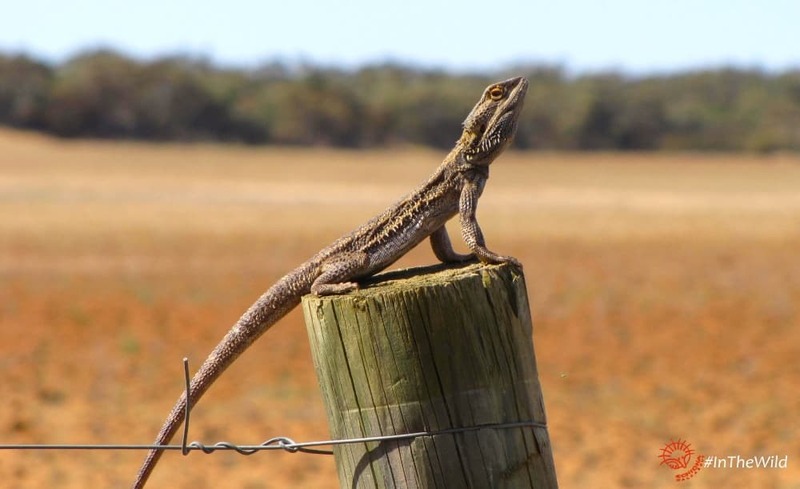 Mallee Military Dragons search for food in open areas and quickly run into grasses for protection if threatened. They are usually seen in dry sandy areas with patches of spinifex grass (Triodia sp.). Painted Dragons are swift-moving, beautifully-coloured reptiles. They live in desert, favouring shrublands and hummock grasslands. We have seen them on dry Lake Mungo amongst the saltbushes. Bearded Dragons have a row of spiky scales across their throat that looks like a beard. 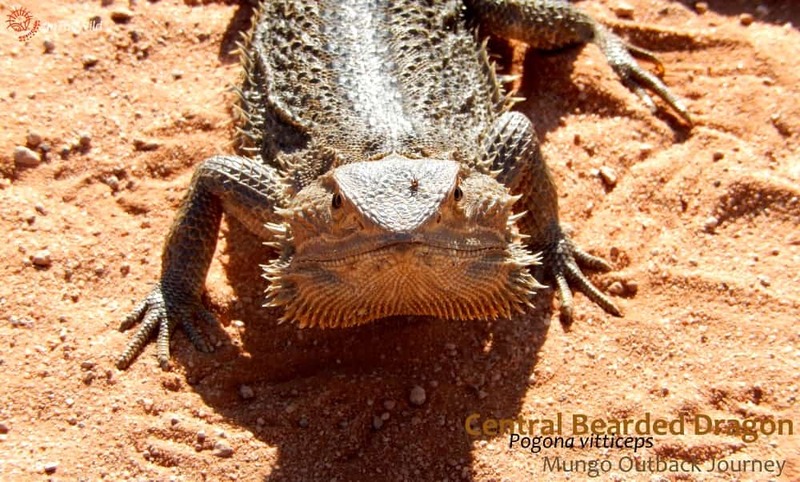 They are large, and often seen in Mungo National Park basking on the sand, or on a fencepost. The Royal Ctenotus is a reptile with a slim body and long tail. They are fairly small, strongly patterned and dart around during the day, hunting insects in open woodland habitat. 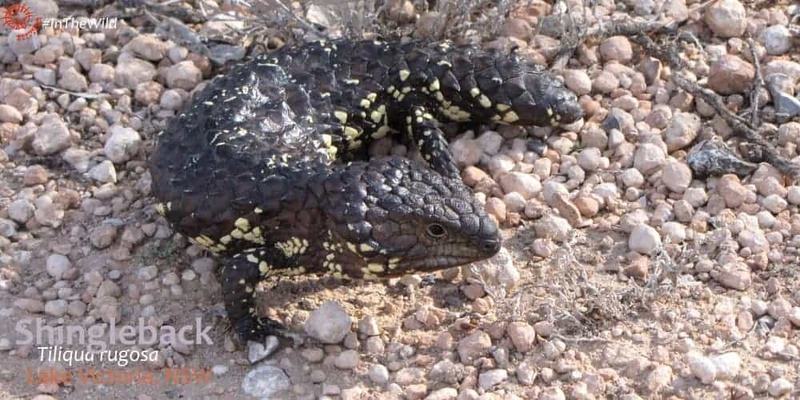 Shinglebacks are large, slow-moving, short-tailed lizards with a broad body and short legs. Their tail and head look similar, which may make it hard for predators to know which end to attack. 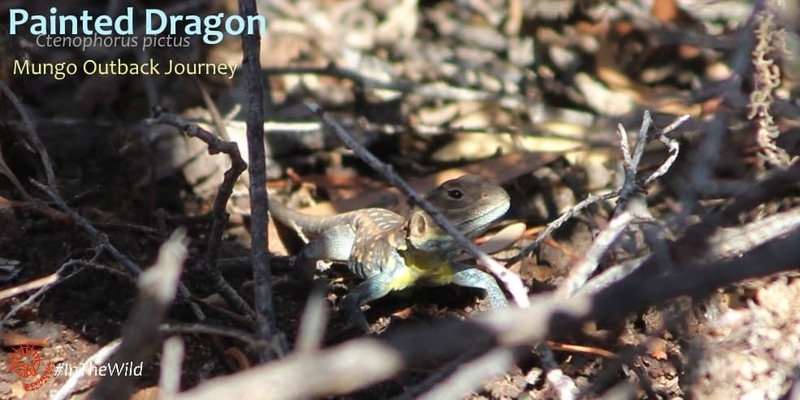 Shinglebacks have a fascinating social life – read about it here. Love reptiles? Here’s the best places in Australia to see other reptiles.